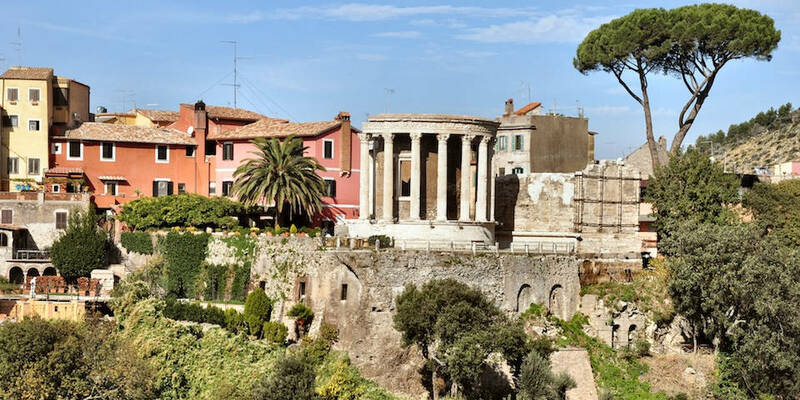 Despite the fact that the Eternal City is huge and has an infinite number of sites to visit, there are many places where to go for a day trip from Rome. Small cities and regions nearby include important churches, monuments, and villas that influenced the history of Italy. Moreover, many spots nearby are excellent options to spend a day relaxing near the sea or one of the lakes. Ostia Antica is one of the largest archeological sites of ancient Rome. The establishment of the old castrum of Ostia goes back to the 7th-century BC. By 150 A.D., Ostia served as a commercial Rome`s ancient port. Moreover, the oldest archeological remains discovered in the 4th-century BC, while the most ancient buildings are from the 3rd-century BC. There you will find a theatre, which was provided under the Emperor Augustus and his successors. Also, there are a first forum and an aqueduct, construction of the port of Claudius, and the port of Trajan which further became an administrative center for trade. 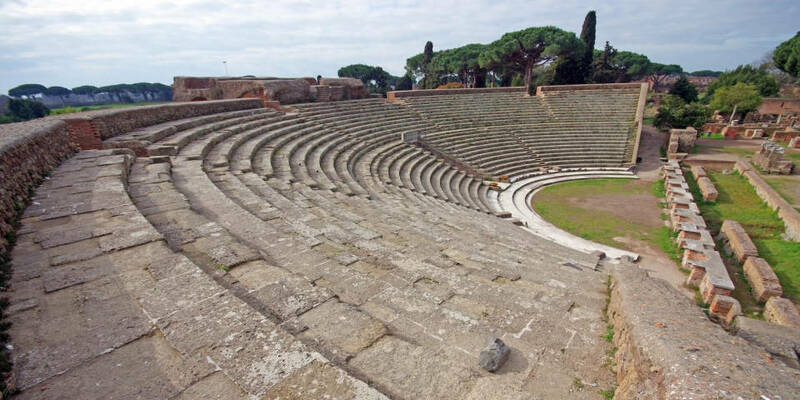 Ostia Antica is big and you will easily spend a whole day there, discovering ancient building and beauties of the city. 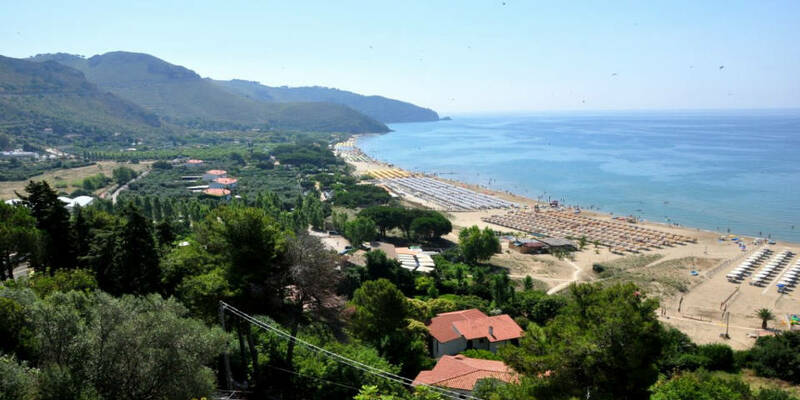 Since Tyrrhenian sea is only about 25 km from the city, it is a great option to visit one of the beaches located near Rome. Moreover, it is possible to reach one of the marvelous beaches by train only within half an hour. You will have a choice between private beaches with an additional cost for entrance or wild beaches. Many spots have the blue flag that indicates on the purity of water, presence of amenities and work of lifeguards. Excellent choice for a day trip from Rome. 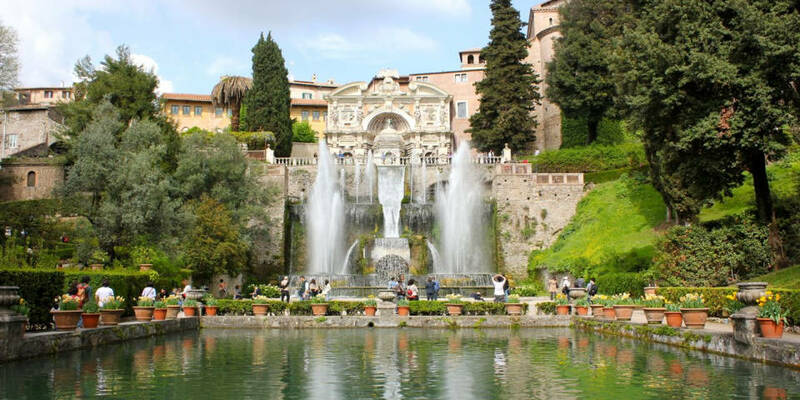 The Villa d’Este has its own palace and garden and is one of the best and stunning examples of Renaissance culture. Moreover, it has an innovative design and plenty of the architectural components in the garden. For instance, there are fountains and ornamental basins. It would take more than two hours to discover this huge beautiful villa from the 16th-century. 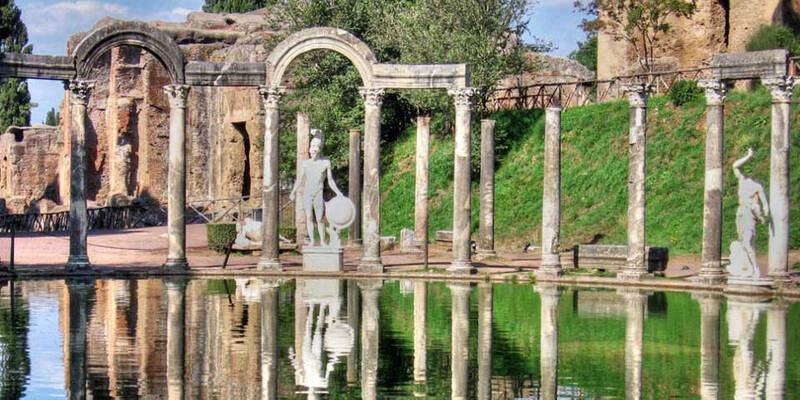 Hadrian’s Villa (Villa Adriana) is one of the best kept and popular archeological sites in Italy. It has been listed as a UNESCO World Heritage Site since 1999. Moreover, the villa was built by Hadrian, the Roman Emperor, between 118 and 139 AD. The area consisted of about 120 hectares, but nowadays only 40 of them are available to visitors. The Villa Gregoriana was created because of the necessity to protect Tivoli from the ruinous floods of the Aniene. The park was commissioned by Pope Gregory XVI in 1835. Moreover, the villa was important spot in the communications between the people of the Aniene Valley and the Tiber Plain from the archaic age. 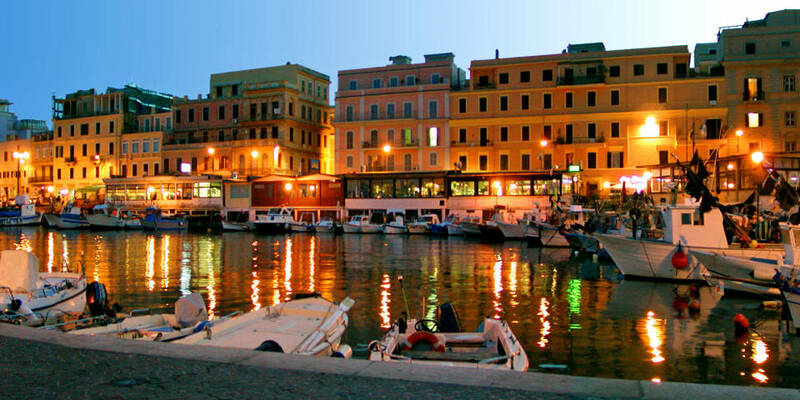 Anzio is a city on the coast of the Lazio region, about 51 kilometers (32mi) south of Rome. It is popular for its seaside and is a fishing port. Moreover, Anzio has a remarkable historical importance as the site of Operation Shingle, which is a crucial landing by the Allies at the times of the Italian campaign of World War II. Genzano located about 30 kilometers from Rome is above the crater of Lake Nemi. Also, the city is part of the Roman Castles and offers many beautiful panoramic views as well as archaeological sites nearby. There you will find many local restaurants and shops with inexpensive prices and tasty food. Overall, Genzano is a great option to visit for one day. “Lake of the Duchess” is a famous destination for hiking near Rome. 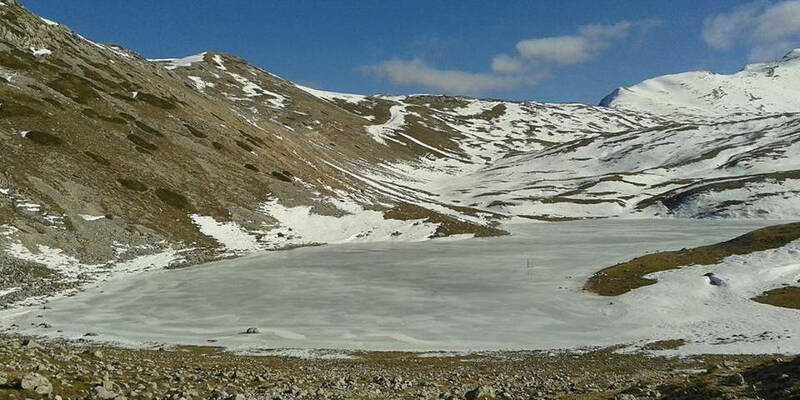 It is a mountain lake located on 1788 meters above sea level. It is very beautiful and offers inexpensive options for those, who want to try hiking sport. 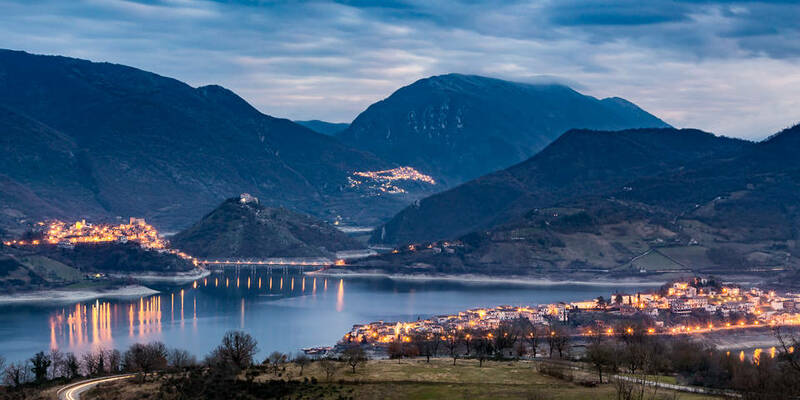 Lake Turano is a large hydroelectric reservoir based on the river Turano. It is about 10 kilometers long and linked to the Lake Salto by a tunnel as well as supplies the Cotilia power station. The lake is beautiful and offers breathtaking views on the nature. It will take about 1.5 hour by car to get there from Rome. 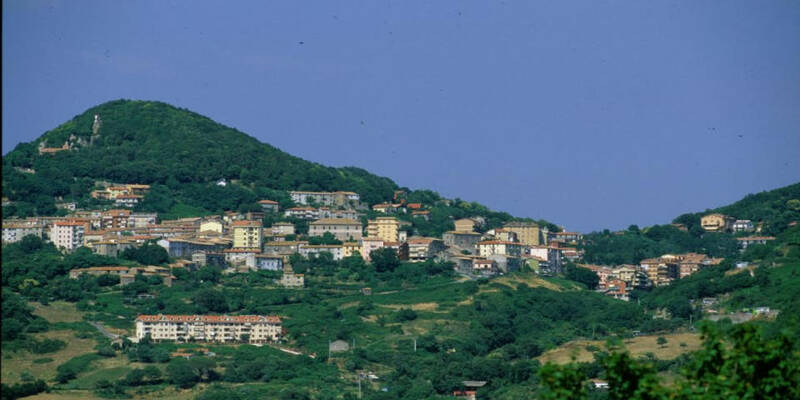 Located a few kilometers from Rome, the Tolfa Mountains territory has towns of Tola and Allumiere. Allumiere has many quarries all over the city because of the presence of alunite, a mineral of world-wide interest. Moreover, you can visit “Cava del Moro”, one of the famous caves of the city which leads to the ancient village of “Old Cave”. Also, the city has a fascinating flora and would be an excellent choice to visit during your trip to Italy. 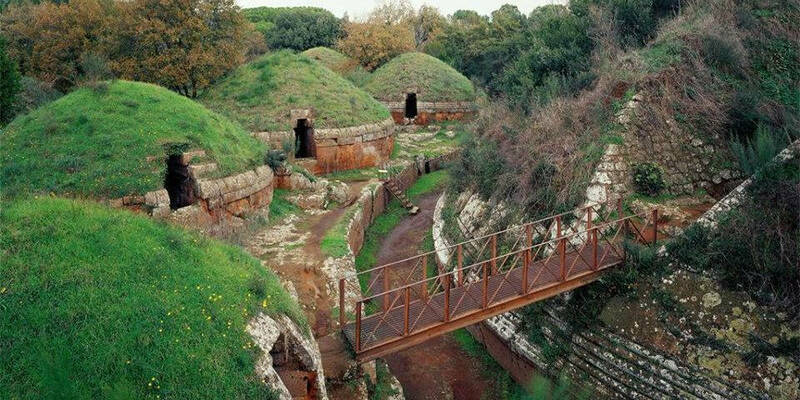 Cerveteri has the Etruscan Necropolis, which is an impressively haunting archeological site. The city was built between the 7th and the 3rd-centuries BC and is still not fully excavated. Moreover, there are many stone tombs and other archeological site which will make you spend several hours exploring them. 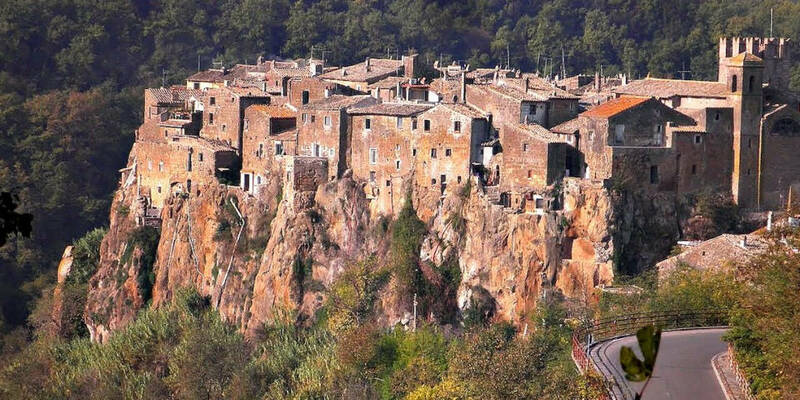 Overall, Cerveteri in less than 1 hour reachable by car and there are several option to go there by train or Cotral bus, but the trip definitely worth it. The village of Calcata is the small medieval settlement re-settled by artists. Moreover, the city looks like typical Italian borgo, or hill town. 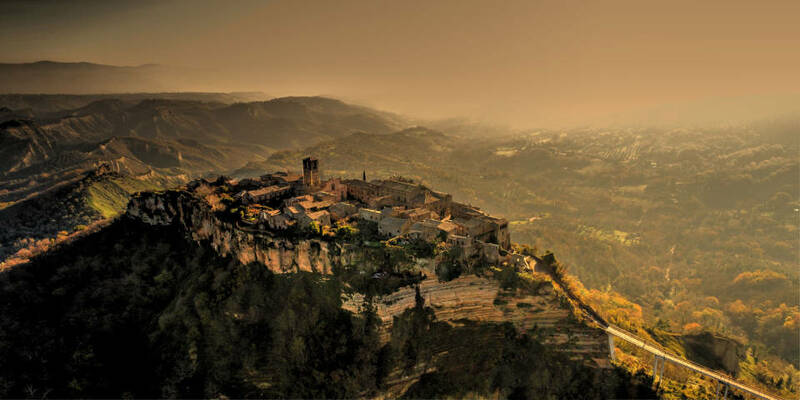 Visit to Calcata will make you enjoy an atmospheric experience where you feel that you have a trip back in time. 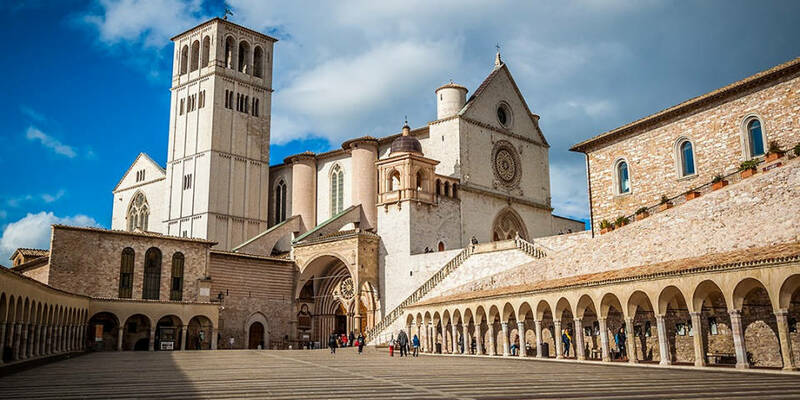 Assisi is a town and commune of Italy, famous as a birthplace of several important figures as St. Francis, who founded the Franciscan religious order in the city in 1208. Moreover, Assisi is very picturesque, especially throughout seasons when everything starts to thrive. There you will find several churches, the Temple of Minerva, and the Roman Amphitheater. 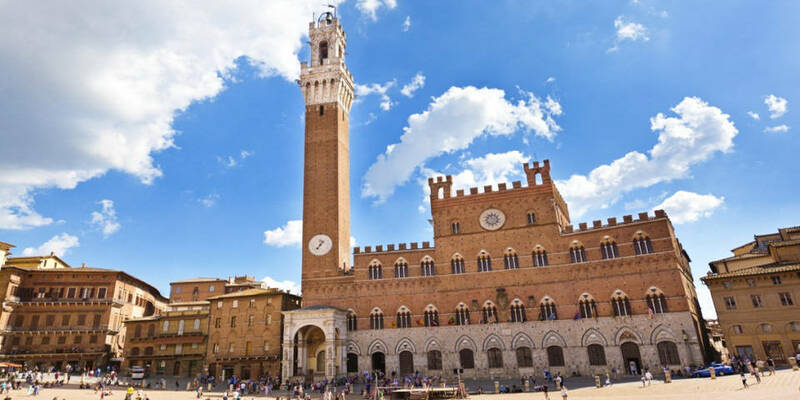 Of course, it will be better to spend more than one day for a trip to Siena. Your way to this city will take at least 2.5 hours. The old city is small enough to explore on foot. There you will find tiny streets, where you will have to head up or down, since Siena is a hill town. Also, there is a local specialty sweet, panforte, similar to spicy fruitcake without the booze. There are many ways on how to get from Rome to Florence, which are inexpensive. Undoubtedly, this is one of the most popular cities among tourists and you will never forget your trip if decide to go there. 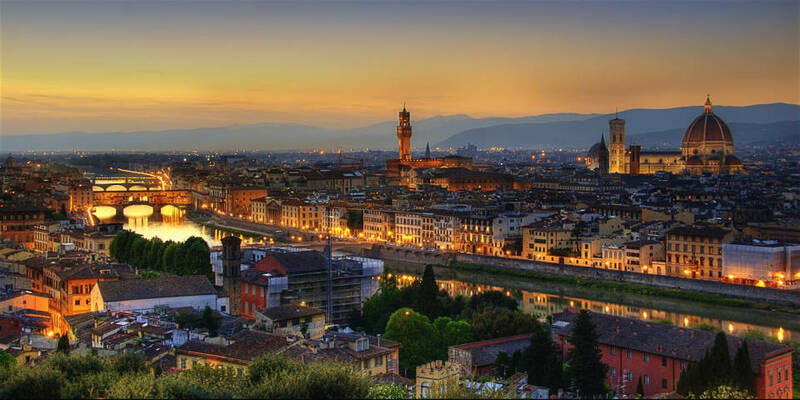 Florence is worth to visit for more than one day. Take comfortable shoes and start to explore fascinating masterpieces of art and picturesque streets and buildings. Naples is another popular city for a day trip with inexpensive various options on how to get there. The city is amazing; there are delicious local sweets, cheap shopping, places with best pizza, and breathtaking views. However, many tourists and locals prefer to avoid the city because of the high level of criminal and dirty streets. Be careful during your trip, but undoubtedly, it is worth to visit Naples! Civita di Bagnoregio founded by the Etruscans dating back to 2500 years ago. It is actually consists of two remote towns. Civita is on a hill, where you have to climb by foot, while Bagnoregio ends right before this road. Previously, Civita was the larger community and Bagnoregio the satellite. It is a beautiful medieval city worth to visit for a day-trip. 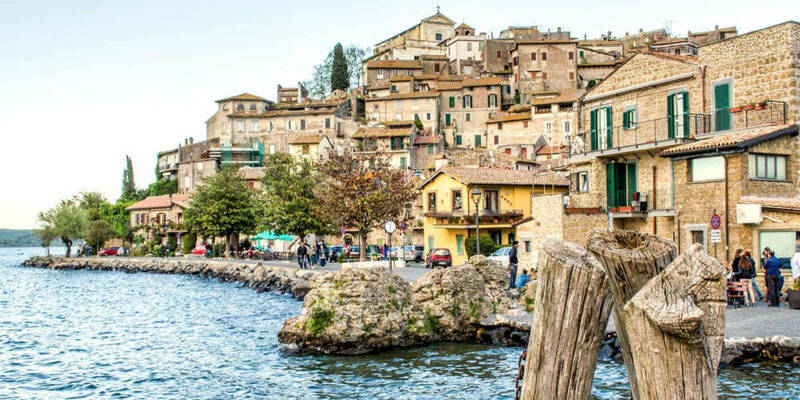 Lake Bracciano has three small towns: Bracciano, Trevignano, and Anguillara, located near each other along its coast. Bracciano is about 30 kilometers (19 miles) northwest of Rome. It is famous for its volcanic lake and medieval castle – Castello Orsini-Odescalchi. Moreover, its lake used for sailing and there are many tourists throughout the year. The castle hosts events, especially weddings. Trevignano Romano is a small town with population about 5000 people. It is also on Lake Bracciano and is about 47 kilometers (29 miles) away from Rome. There you will find Etruscan tombs from the 8th-6th century BC at the Museo Civico Etrusco Romano. 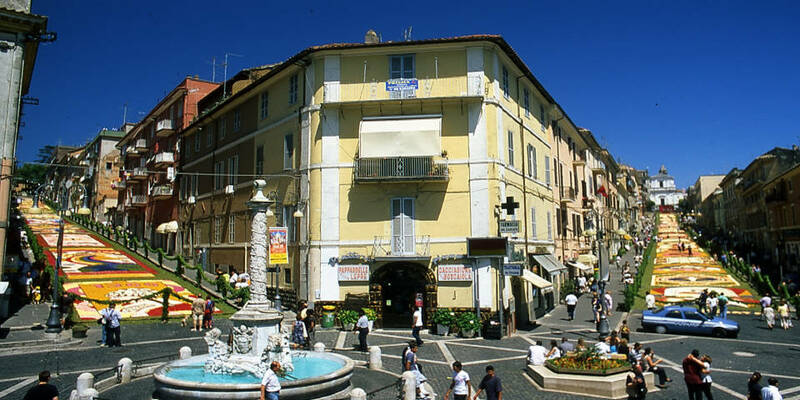 Anguillara Sabazia is a town located around 30 kilometers (19 miles) northwest of Rome. It is popular among tourists for its medieval center and beautiful beach on the coast of Lake Bracciano. Capri is an island located in the Tyrrhenian Sea, on the south side of the gulf of Naples in the Campagnia region of Italy. 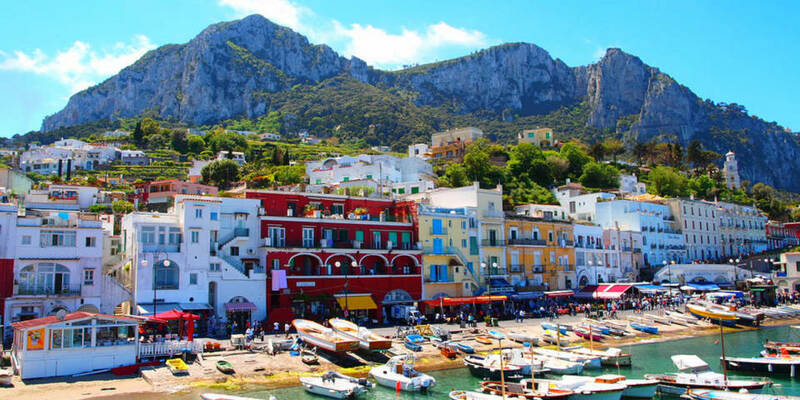 The town of Capri is the island’s main center of population with two harbors: Marina Piccola and Marina Grande. Moreover, it is famous for the Belvedere of Tragara, which is a high panoramic promenade with villas. Capri considered as one of the most expensive resorts in Italy, but also as one of the most beautiful spots for vacation. 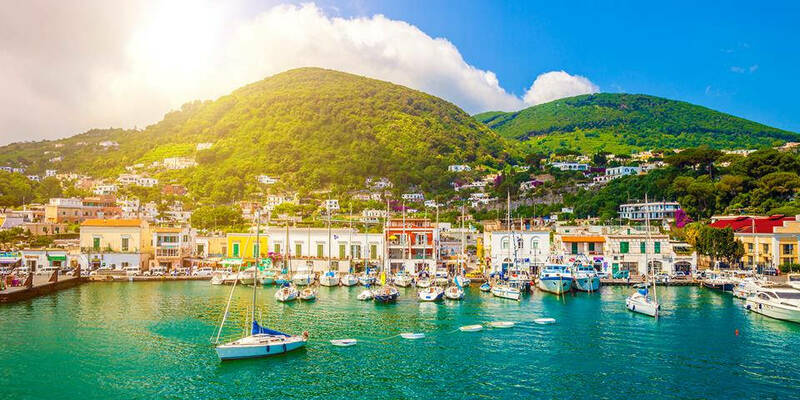 Ischia is a volcanic island in the Tyrrhenian Sea on the northern end of the gulf of Naples. In compare to Capri, it is less famous, so that has more inexpensive prices, but isn’t less beautiful at all. Since its main industry is tourism, there you will find thermal spas, a variety of fruits, volcanic mud, and hot springs. 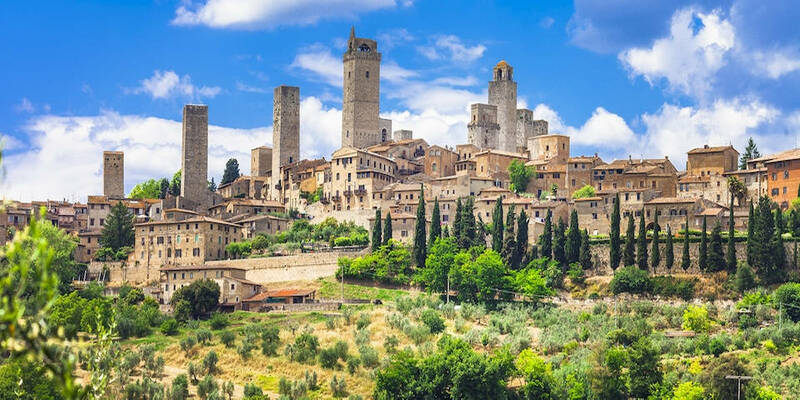 San Gimignano is a small medieval hill town in the province of Siena, Tuscany. It is famous for its medieval architecture and many tower houses. 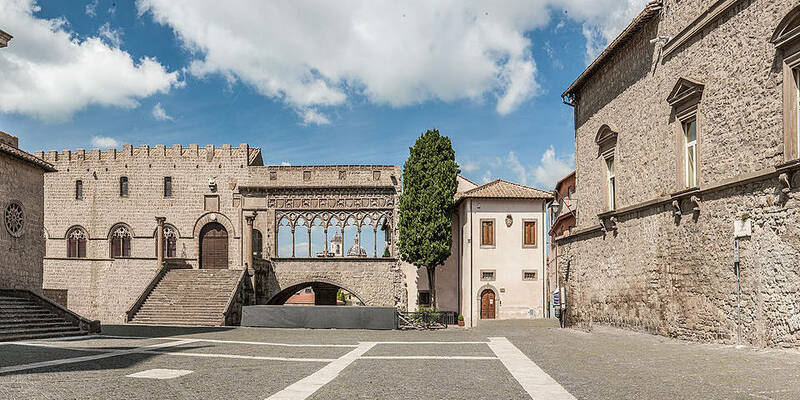 There you will find The Palazzo Comunale, the Collegiate Chruch, and Church of Sant’Agostino with different frescos from the 14th and 15th-centuries. Moreover, don’t forget to try their saffron, the golden ham, and local white wine – Vernaccia di Sam Gimignano. Spoleto is an ancient city in the province of Perugia, Umbria. Its historical center is easily walkable and modern in many terms. Moreover, origins of the city date back to 241 BC. 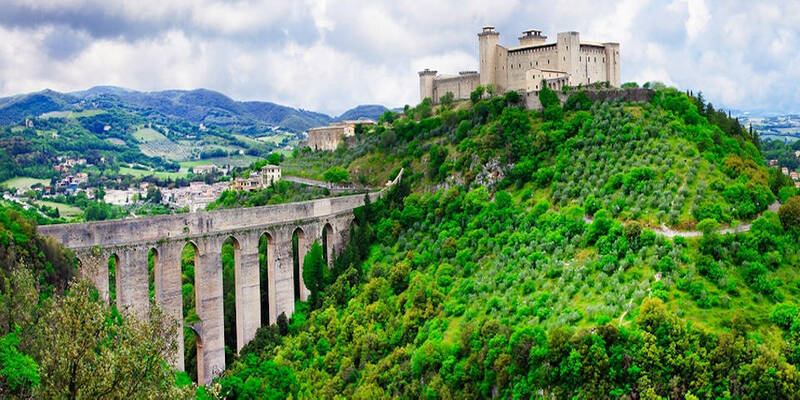 According to its history, Spoleto was attacked by Hannibal who repulsed its inhabitants and the town recovered in the 6th-century when one of the Dukes of Longoboard made it as an official residence. Also, there you will find many shops, local specialties and red wine from Montefalco. Mount Vesuvius is the only active volcano in Europe. It is famous for the destruction of the cities of Pompeii and Herculaneum in A.D. 79. Moreover, it has erupted more than 50 times. 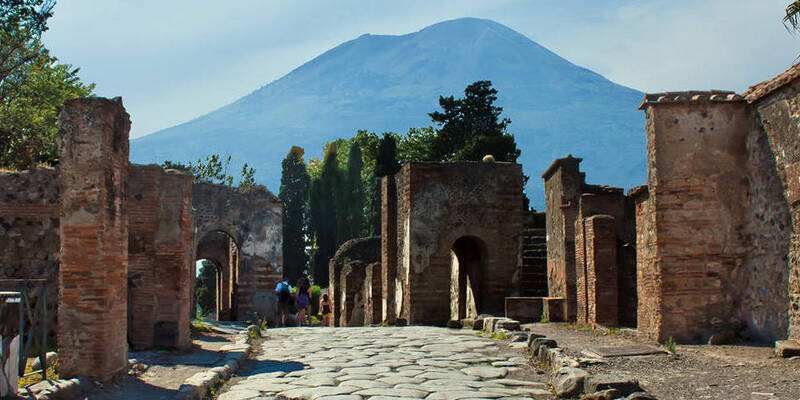 Nowadays the city of Pompeii is one of the most popular touristic spots because of its breathtaking history. 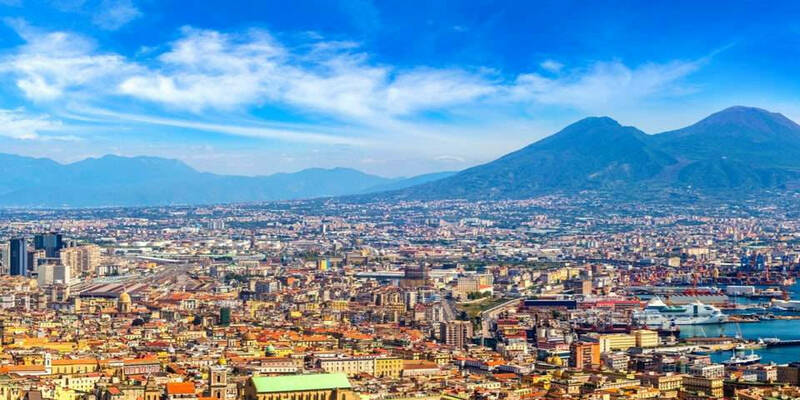 To get there, you need first to go to Naples and then take a bus which goes to Pompeii. Undoubtedly, one of the best options where to go near Rome. 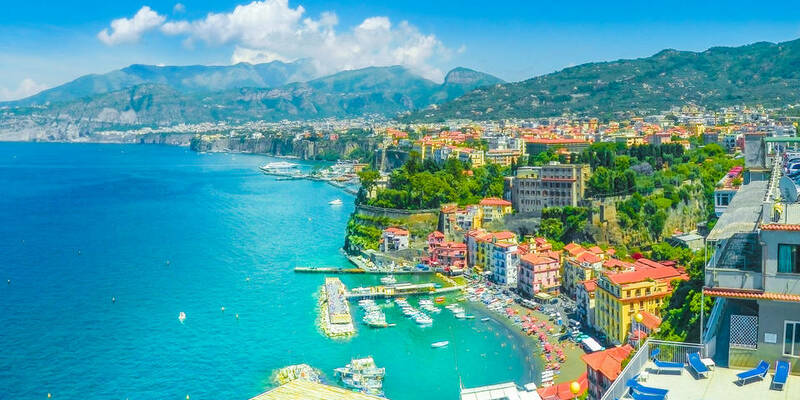 The Amalfi Coast located on the southern coast of Salerno Gulf on the Tyrrhenian Sea in the Province of Salerno. It is one of the most popular touristic destinations in Italy and the coast listed as a UNESCO World Heritage Site. The coast in unbelievably beautiful and there are many things to see and enjoy. Undoubtedly, it is worth more than a day trip. 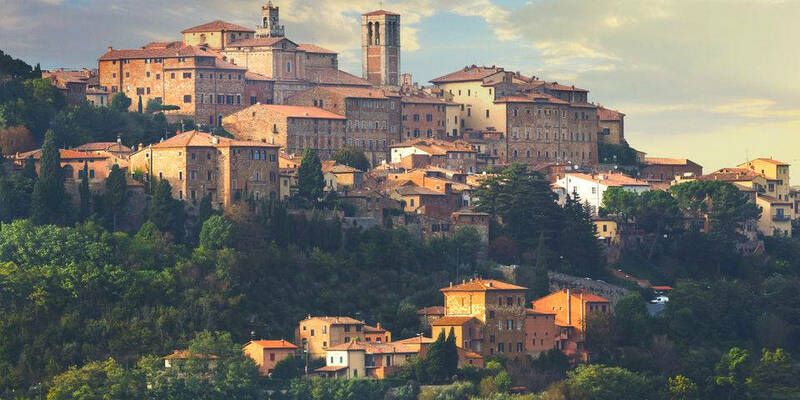 Located in the southern Tuscany not too far from Siena, Montepulciano is a medieval town with Renaissance palaces, ancient churches, beautiful squares, and tiny streets. Moreover, there are beautiful panoramas of Val d’Orcia and Val di Chiana valleys. The town is full of shops, restaurants with local food and wine, and definitely worth a visit. 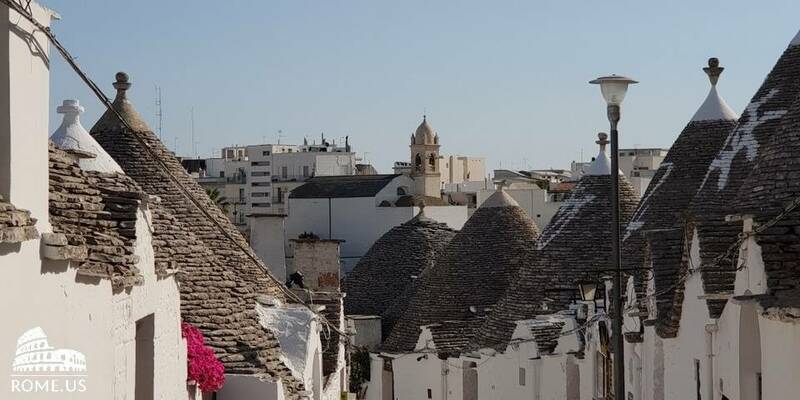 Alberobello is a small town located in Puglia, south of Italy. Actually, it is 500 km from Rome, but still, it is possible to make a day trip to this amazing place. It is famous for its trulli houses. Also, there you can enjoy excellent all-natural products, since Puglia is the agricultural region. Italy is one of the most beautiful countries in the world. 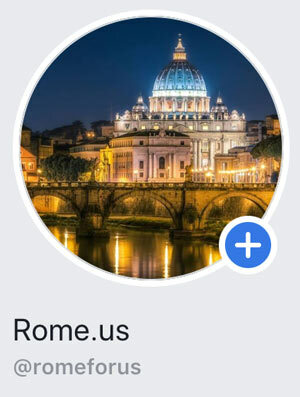 If you are going to Rome for several days, it is definitely worth to visit at least one of these cities nearby the Eternal City. Have you already visited any of them? Tell us about your experience in comments.